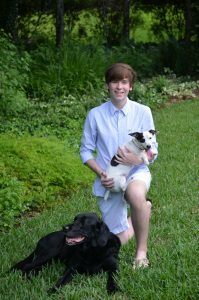 James is a recent graduate of Stetson University with a Bachelors of Science in Molecular Biology. He has performed previous research in the field of cancer biology studying and examining the potential use of different cytotoxic chemicals in the treatment of Acute Myeloid Leukemia (AML) and Triple Negative Breast Cancers (TNBCs). After graduating he switched his focus from cancer to that of autoimmune disease in Type 1 Diabetes. He now assists with HANDEL-I and nPOD case processing and data analysis, as well as day to day laboratory maintenance and care. Outside of science James is an avid musician and traveler and plans to pursue a dual MD/PhD to further scientific research and clinical application.